Step 1: Apply two coats of base polish color to your nails. Allow to dry for 1 minute. 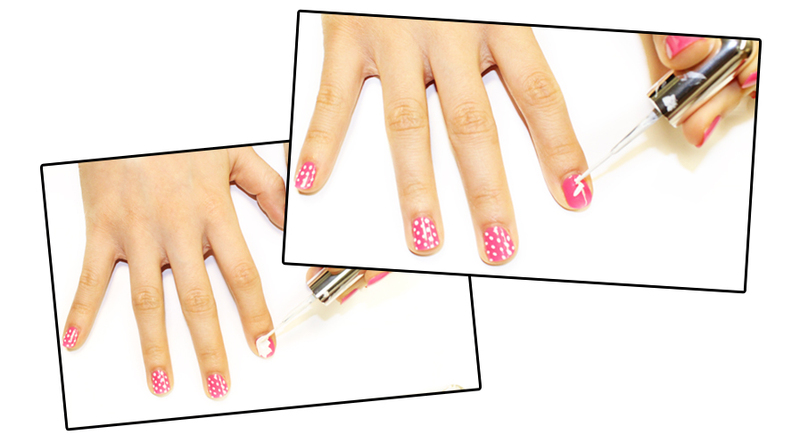 Step 2: Using a nail art brush or dotting tool dab a few dots onto your nails. Leave one nail blank for word bubble. Step 3: On blank nail create a word bubble with pointy edges. Allow to dry for 1 minute. Step 4: Outline word bubble with black nail art brush. Step 5: Write an action word of your choice, we chose POW! Let nails dry for 1 minute. Step 6: Apply your top coat. 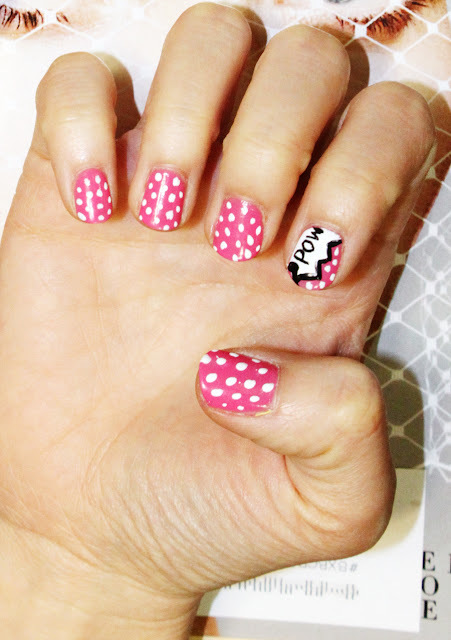 Now you've got yourself a set of knock-out nails. Very Nice. Thanks for the instructions!